In 1991, the founders of the Green River Preserve, a nature camp for academically gifted students, proposed the idea to establish a school that combined a nurturing environment with a curriculum enriched by hands-on learning experiences. Hickory Day School opened in the fall of 1993. Hickory Day School received authorization as an International Baccalaureate PYP (transitional kindergarten through grade 5) school in 2005 and the Southern Association of Independent Schools(SAIS) in November 2017. We are a non-profit 501(c)(3) organization. HDS is governed by a Board of Trustees, which oversees the financial and strategic direction of the school and manages the Head of School. The Head of School is responsible for its daily operations and curriculum. 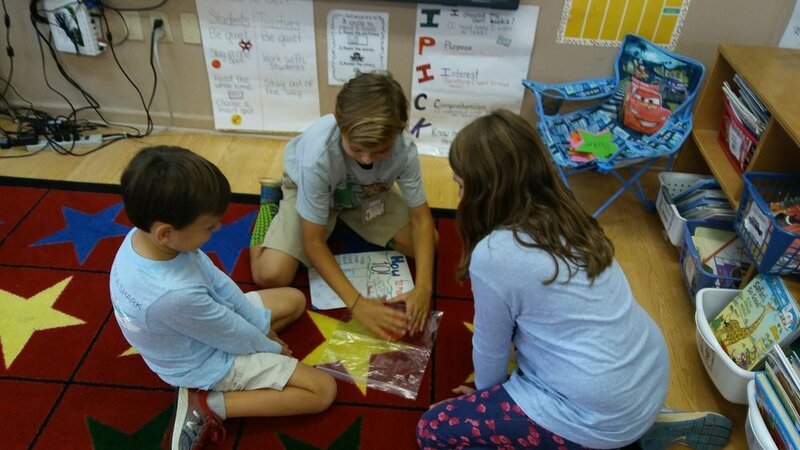 The PYP Program (grades K - 5) follows the IBO curriculum so that students learn through an inquiry-based philosophy of developing lifelong learners and global thinkers. Students integrate IB values and attributes into core and co-curricular subjects as they complete six organized units of inquiry throughout the school year based on the transdisciplinary themes of the IB curriculum: who we are, where we are in space and time, sharing the planet, how we express ourselves, how we organize ourselves, and how the world works. The middle school (6-8) curriculum comprises eight subject areas and continues the integration of the values of the school (and the IBO) into its course of study. Student-initiated actions have included projects to support the World Wildlife Fund, Charity Water, Unicef, and Jumprope for Heart. Exhibition Projects for our sixth graders who are ending their IB PYP journey have included themes relating to bullying, homelessness, natural disasters, deforestation, house fires, and veterans affairs. Click here to learn more. We currently have 26 faculty and staff members. We partner with Liazzo's Catering to offer our students a hot, healthy lunch program. Families receive the menu in advance, and may choose which hot lunches to purchase for their children. Liazzo's works closely with those families whose children have allergies or dietary restrictions to ensure they have a healthy and enjoyable meal plan that meets their needs. We are pleased to offer an after-school program for our kindergarten through eighth grade students from 3:15 until 5:30. Students enjoy supervised, fun afternoons with their friends after a challenging and exciting school day! Daily hands-on Homework Help is available for students for an hour after school. Clubs and co-curricular programs like the HDS Sunshine Singers meet after school concludes as well. Our summer camps reflect the various components of our mission statement- unique environments, academic excellence, critical thinking skills, and global perspectives. At Hickory Day School, we consider the arts to be key to developing creative ability among children of all ages. Our curriculum at each grade level includes multiple weekly exposures to the visual and performing arts. With direction and coordination, our students present two major performing arts productions each year. Our winter and spring productions involve Hickory Day School students in singing, acting, dancing, and constructing scenery and props. Families also enjoy the opportunity to see our students’ musical performances throughout the school year at events such as Grandparents and Special Friends' Day. Through participation in these productions, students develop musical and acting skills but more importantly build confidence and self-esteem as they cooperate with peers in multiple grade levels to put together a great performance.